Acorn Hill Academy: Back to Homeschool Giveaway! Who doesn't love a good giveaway? I know I do! 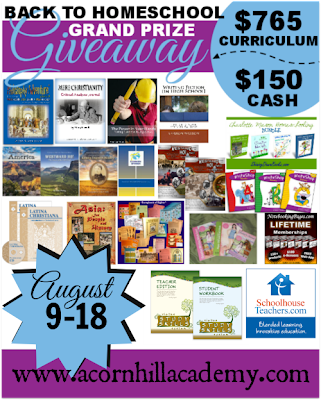 I love when I win things I need for our homeschool, because then I can use my budgeted funds for fun extras. 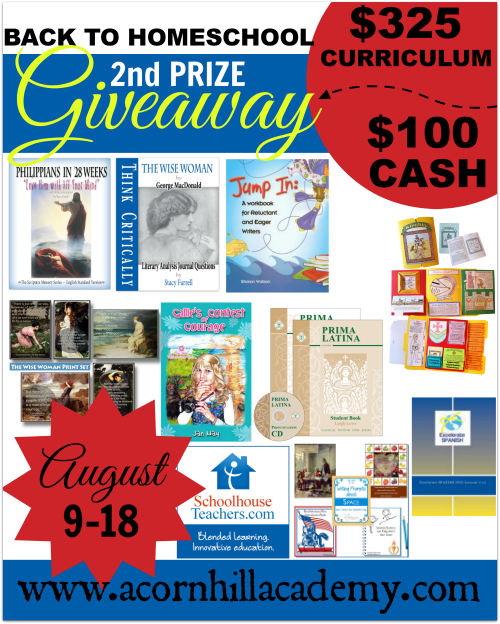 I am DELIGHTED to be able to share this fabulous giveaway with you. To enter, use the Rafflecopter Giveaway below. Residents of the U.S., age 18 and older only. See more Terms and Conditions in the Rafflecopter.